I'm testing a pattern for a friend. 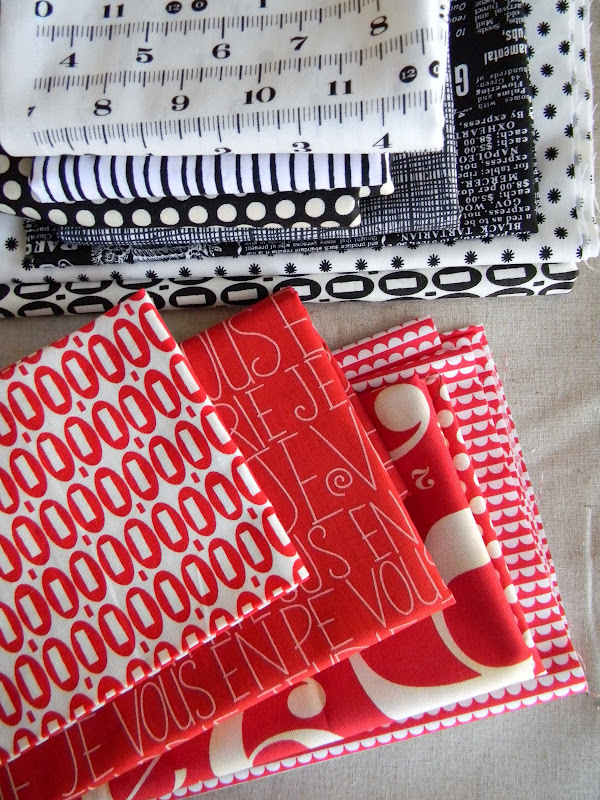 I won't be able to show you what I'm making until May I think, but, here are the fabrics I chose. There are a couple of Annie's Farmstand prints, a Cosmo Cricket ruler, several from Circa 1934, the new Pezzy Prints, Heath, Ruby Sundae Stripe, Essex linen/cotton, and Je Vous En Prie by Yuwa. 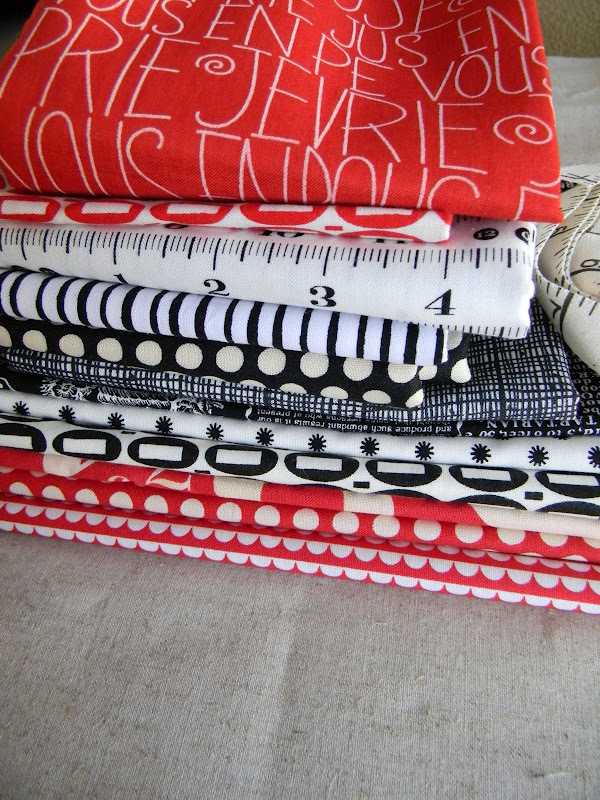 What a great excuse to buy some fabrics I've had my eye for a while. lovely choices. i can't wait for may! These aren't your normal colors, Alex! Can't wait to see what magic you do with them. Love the red, black, and white. 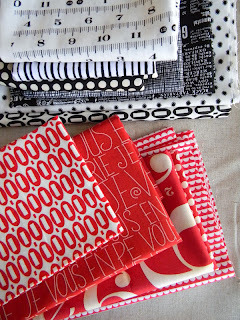 I especially love the red french text print and the red numbers print. YUM! Fun fabrics, Alex! 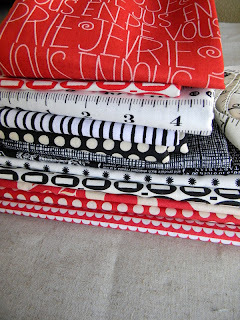 I have a project in progress with that red fabric with the big numbers all over it. Can't wait to see how these all come together.